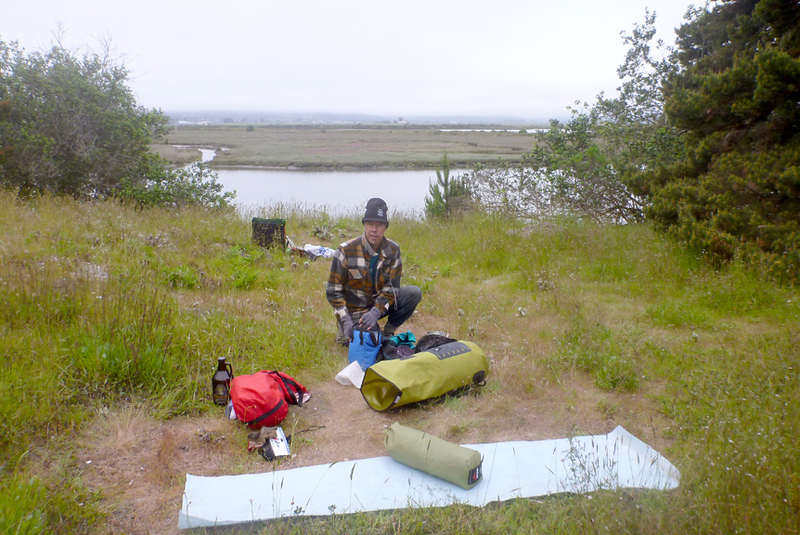 Nick told me about a nice kayak campsite he had found on Mad River Slough, so on the 2nd weekend of this month (May) this year (2012) our plans for that came together. 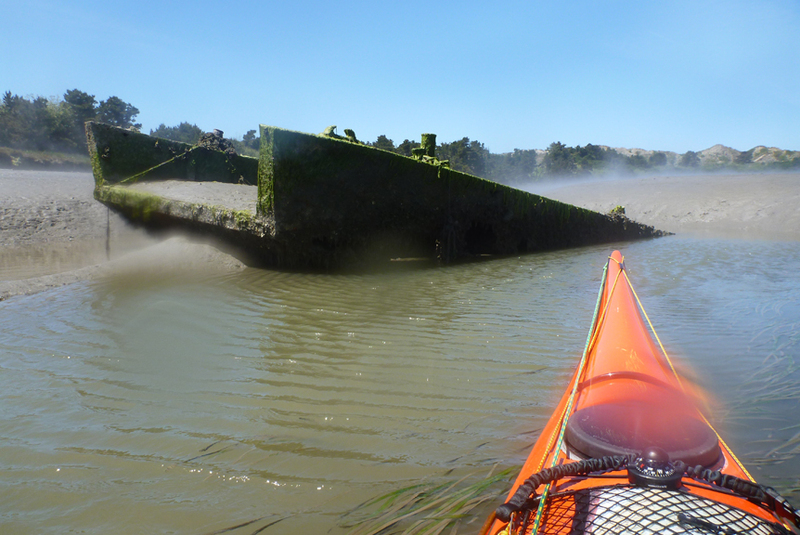 I paddled from the C St. dock on the Eureka waterfront at about 11 o’clock Saturday morning, and got to MR Slough in the middle of the afternoon. The tide was still pretty low there. N ick launched at the Arcata Marsh at 6 o’clock when the tide had gotten high enough to paddle across the mud flats at the top of Humboldt Bay. 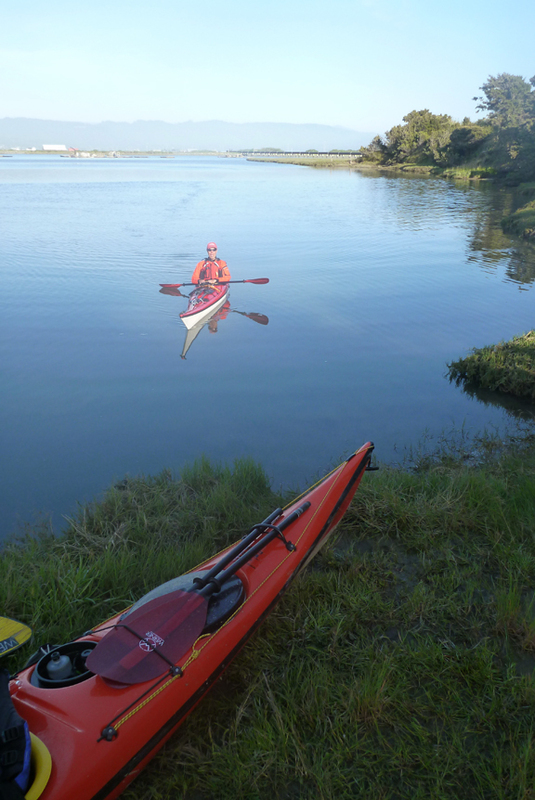 He paddled into the evening sun for about an hour and met me at the Ma-l’el Dunes Parking lot. From there we paddled together awhile up the slough and he showed me his spot. It was a beautiful little meadow above the slough a few feet and nestled in the trees. We tied the boats up on a little beach just made for kayaks and carried our gear up to the meadow, set up the tents and prepared dinner. 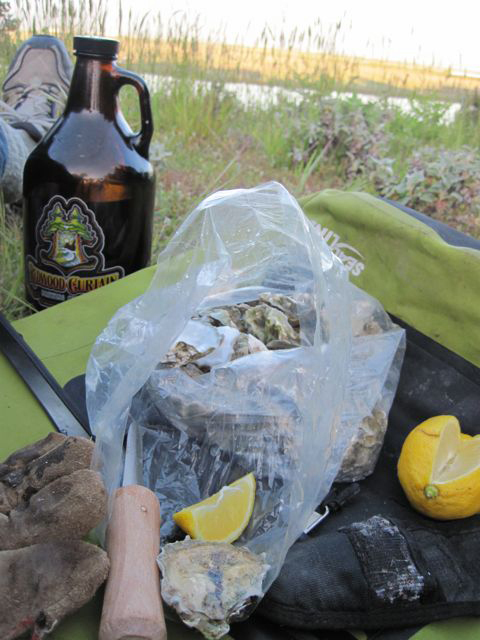 Nick shucked oysters for us and I made pasta, which we shared while enjoying the sunset view of the Arcata Bottoms. It was graduation weekend for HSU, and we could hear the Marching Lumberjacks from somewhere in Arcata. We talked for a couple of hours in the dark, enjoyed his growler of good beer, then hit the sack. 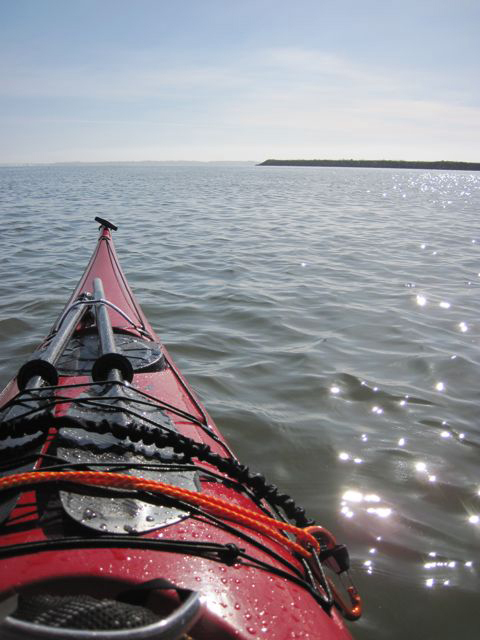 In the morning we took our time about launching for the paddle home. 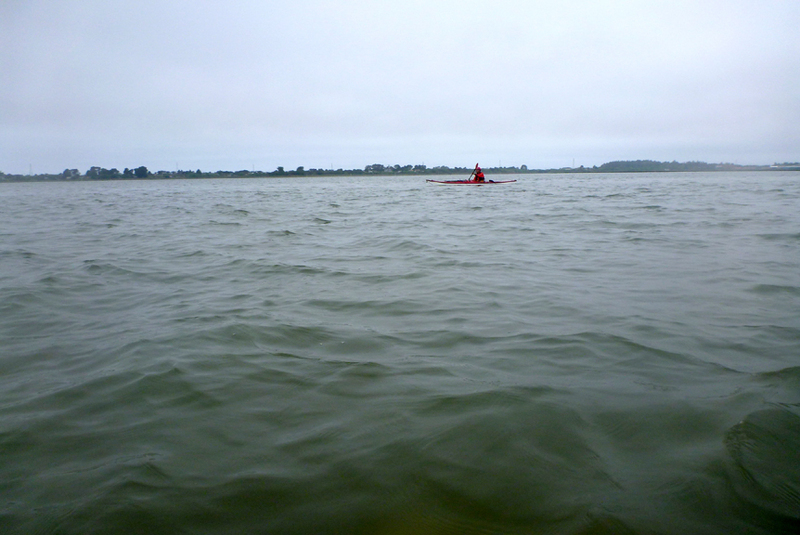 By the time we paddled put to the Bay we had a little trouble finding the channel south towards Eureka. It was good to have Nick’s company for the trip back. The tide helped us back down the MR Slough Channel (a mile from shore), and we got to the dock in in Eureka in about 3 hours. 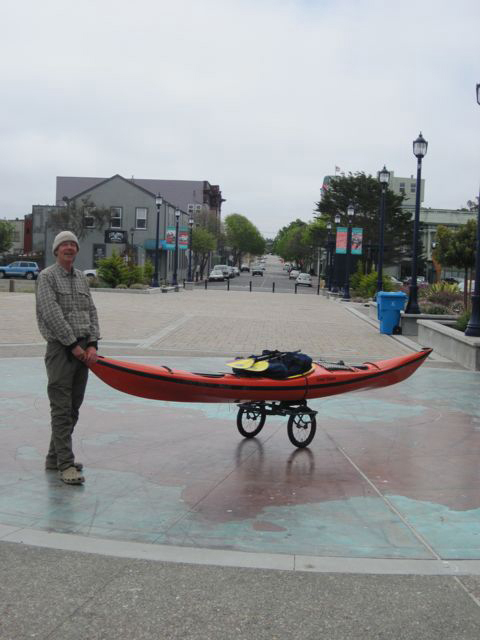 Nick called for his ride back to Mckinleyville and I wheeled my boat the 3 blocks back to my place. 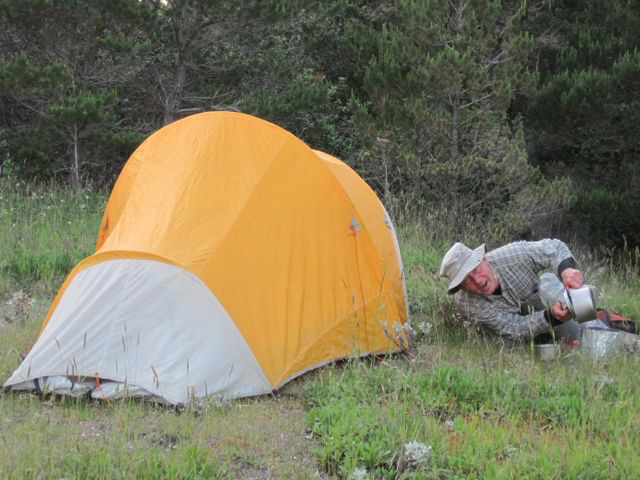 This was just my first camp out of the Spring, and it was terriffic! Thanks Nick! What a fantastic little adventure. I need to join you on one of these little comando camps. Just beautiful. Nice post, Mark! You should think about making this a club event, if the site is large enough to handle a few more people, boats and tents. Sounds like you two had a wonderful time.